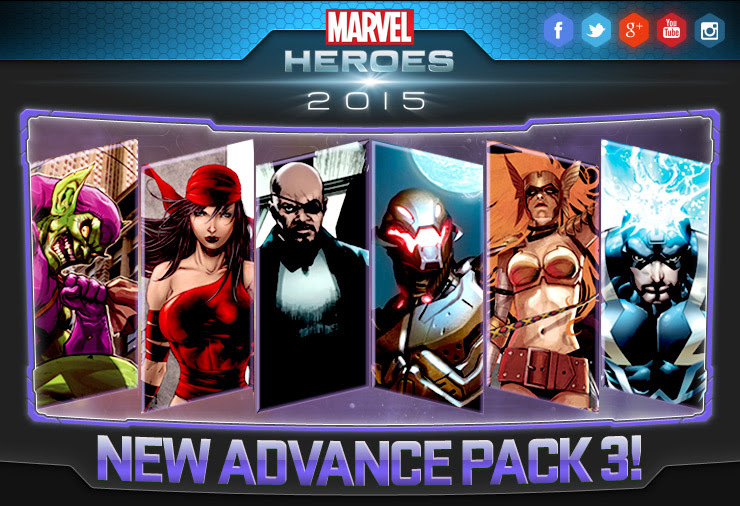 Marvel Heroes’ Advance Pack 3 has arrived, bringing seven more playable heroes — after Black Cat. The new list includes Ultron, Electra, Nick Fury, Green Goblin, Black Bolt — and a currently unrevealed hero. Gazillion is offering two versions of the pack to players, Standard and Deluxe. The pack versions are priced at $60 and $80 respectively, with their values estimated at approximately $100 and $215. In addition to the new Advance Pack, Gazillion is also offering several deals on heroes and costumes. More information on these is available on the Marvel Heroes site. unrevealed looks like angela from spawn. didn’t know she was acquired by marvel…then again, i dont really keep up with marvel’s acquisitions.